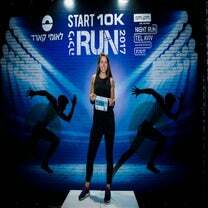 Am I Really A Runner? Women's Running will inspire you to become a better version of yourself through the vehicle of running, using smarter training strategies and healthier fueling. 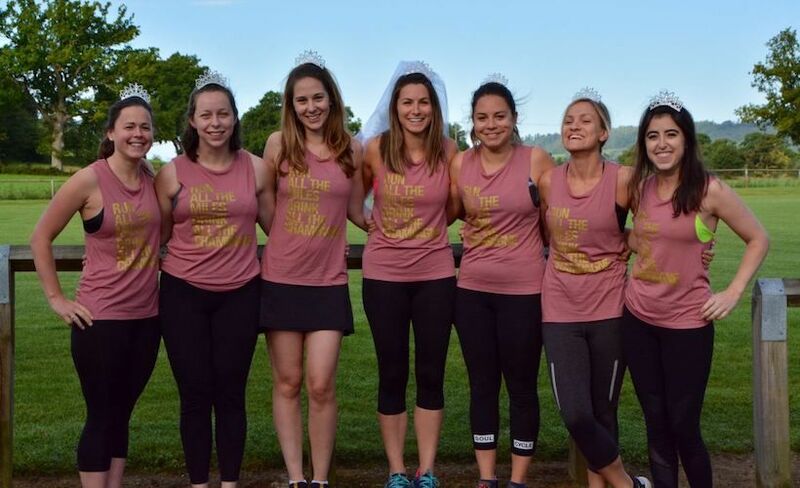 This runner made the unusual decision of running a 5K the morning before her wedding–and had a blast doing so! “You’re bonkers” is a phrase I heard more than once while completing the 3.1-mile course the Saturday morning before my 3 p.m. wedding. Heard equally as often were passing wishes like “good luck” and “congratulations” from fellow runners, race marshals and spectators. I had always planned on running the morning of my wedding. Not only would it calm my nerves by giving me something else to focus on for a while, but it would also allow for some time spent with bridesmaids before the hectic hair and makeup routines started. However, it was my mum and godmother who suggested that we do a 5K. 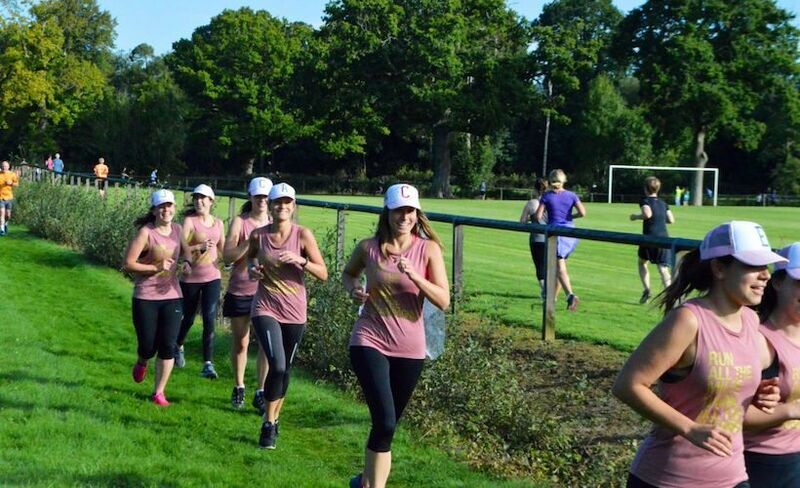 There was a parkrun (a free, timed 5K held in local parks across the UK and around the world) nearby, and it made sense to combine my love of running with an organized event. Plus, it meant that it wouldn’t just be my bridesmaids and I donning our trainers but some of my family members and friends, too. My friend Zoe had very appropriately organized for us all to wear the gorgeous Sarah Marie Designs tanks that read “Run all the Miles, Drink all the Champagne,” as well as personalized trucker caps; my mum’s friend also brought a veil. At the last minute, I decided against wearing my new white Nike IDs with the gold swoosh for fear of ruining them. The plan: to get around together and not hurt ourselves. A little tricky, since there were rabbit holes and sharp, slippery turns to navigate, but we succeeded–albeit slowly. The last thing I wanted was to have to hobble down the aisle. My mum and uncle cheered us on as we ran in a pack, took Instagram videos of each other and generally giggled our way through the course, despite the rather large hill we had to conquer…twice. My competitive nature took over as we rounded the final bend and I could hear people cheering us on. Not wanting to be beaten by my bridesmaids, I made a dash for the finish line. Apparently I was the second female in my age group–and certainly the first bride they’ve had at the Cranleigh parkrun. My cousin Lucy had decided to run only the first lap and went on a coffee run so we could all jump into the car as soon as we finished the race and get back to our cottages. I’m not sure my hairdresser was overly impressed when I arrived sweaty and with hat hair. The morning was really stress free–I think partly because I’d run and had earned my endorphins! After showering, we sipped coffee, mimosas and plenty of water as we all had our hair and makeup done at the cottage. After that, it was time for me to get married! Should We Really Be Shedding For The Wedding?